Most herbal supplements are made with harsh chemicals that can surface in trace amounts in supplements. 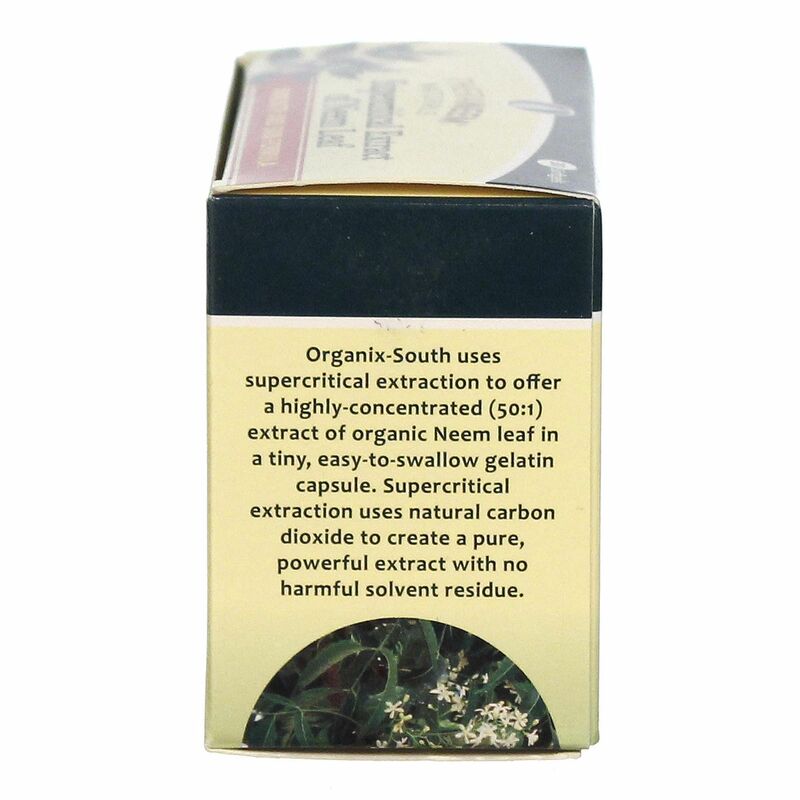 Supercritical Neem Leaf Extract by Organix South is made with a carbon dioxide extraction process, leaving behind absolutely zero chemical residues. 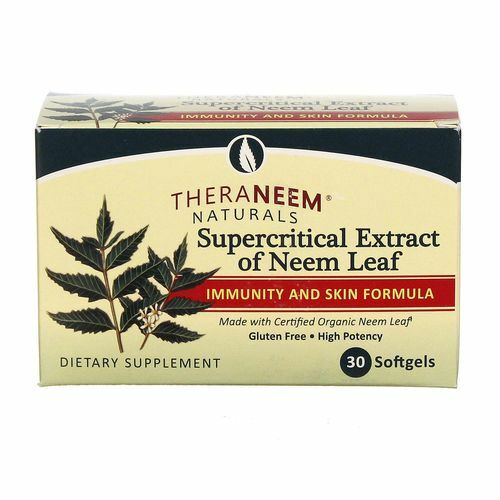 Carbon dioxide extraction is among the safest ways to extract nutrients from the neem plant and leaves the end product considerably more concentrated than other neem supplements. 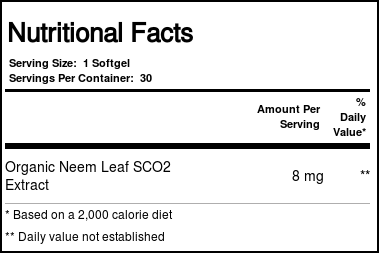 Supercritical Neem Leaf Extract is super concentrated, offering upward of 50:1 neem concentrates per serving in each softgel. One capsule up to twice daily is all it takes to promote better skin, liver, digestive and immune system health. 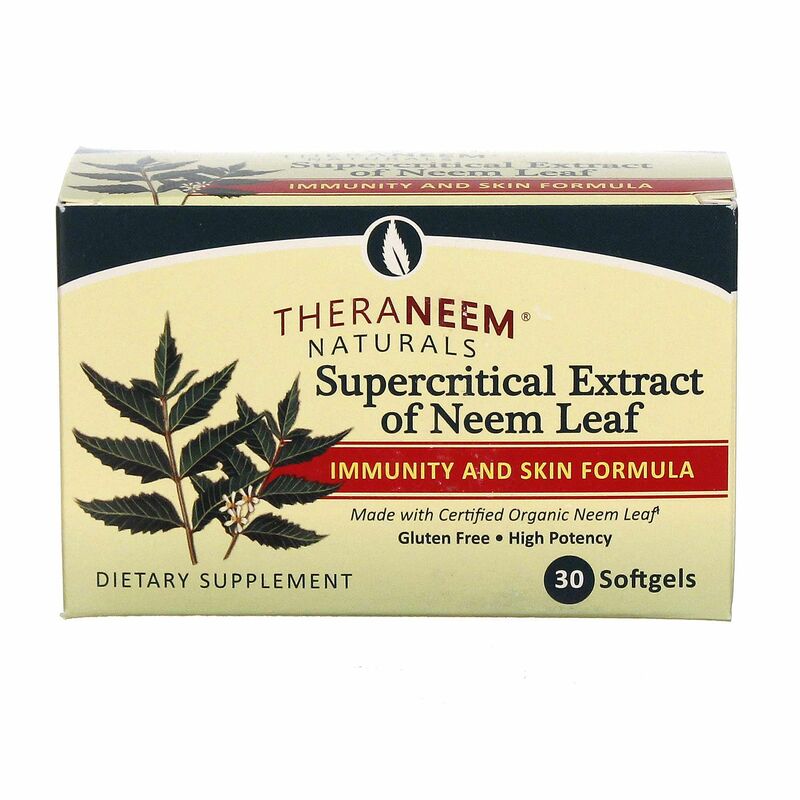 Order your Supercritical Neem Leaf Extract by Organix South today from eVitamins and save! Warnings: Do not use if safety seal is broken or missing. Keep out of the reach of children. Keep your licensed health care practitioner informed when using this product. Do not use if you are pregnant, breastfeeding or if you are trying to conceive a child (men & women). 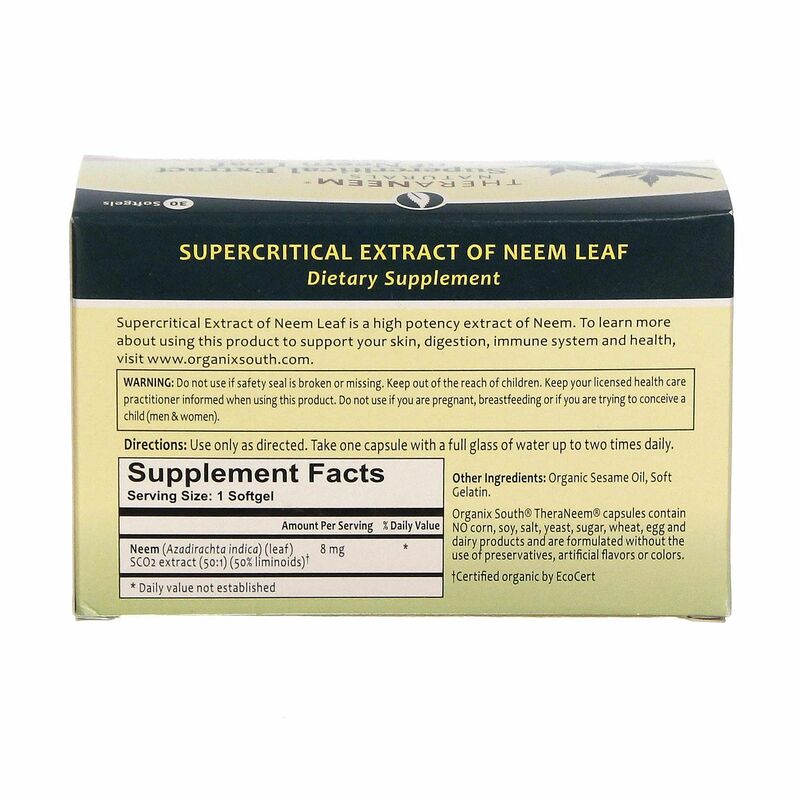 Notes: Supercritical Neem Leaf Extract contains no corn, soy, salt, yeast, sugar, wheat, egg or dairy products and are formulated without the use of preservatives, artificial colors or flavors. Gluten-free. 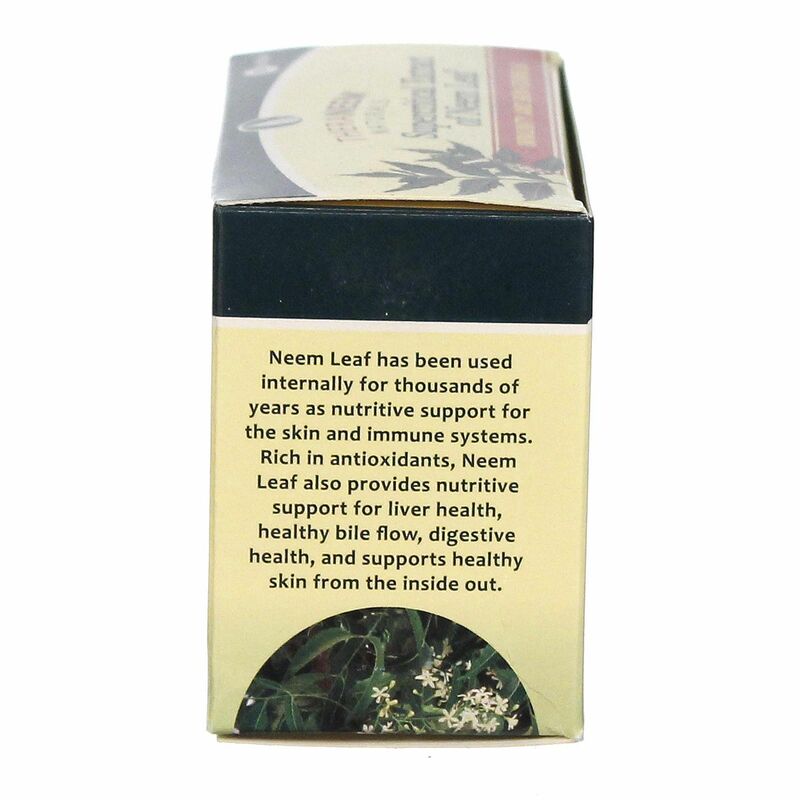 Made with certified organic neem leaves.